Kusama - Infinity explores artist Yayoi Kusama’s journey from a conservative upbringing in Japan to her brush with fame in America during the 1960s (where she rivaled Andy Warhol for press attention) and concludes with the international fame she has finally achieved within the art world. Now in her 80s, Kusama has spent the last 30 years living in a mental institution in Japan. 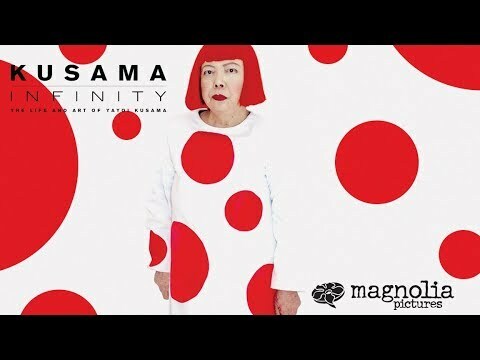 Kusama - Infinity is a feature documentary about Yayoi Kusama. The film explores Kusama's fierce determination to become a world-renowned artist. Kusama was born into a conservative family in rural Japan and she made her way to America on the heels of WWII. There, without connections and speaking only broken English, she devoted herself to her one true love, making art. On her first day in New York, Kusama has stated that she climbed to the top of the Empire State Building, looked down upon the city below, and made a decision to stand out from everyone she saw below and become a star. The Kusama: Infinity release date is to be announced on VOD. Notify me when Kusama: Infinity VOD is available.